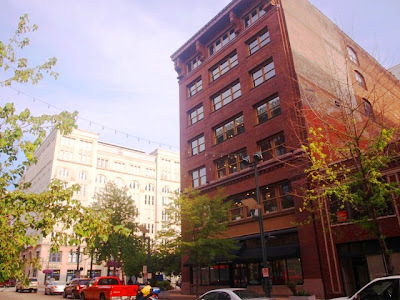 Working extensively in the downtown loft district makes "high end, stylish and modern" seem run of the mill. It's everywhere; especially once the loft boom began. High end modern spaces were being churned out all over the place. We are really lucky here in St Louis. 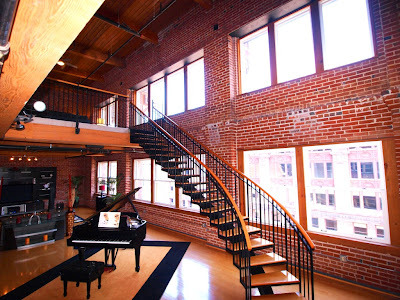 Every once in a while though, a loft shows up that is truly extraordinary. This space is one of those. A 2 story 3000 square foot gem. Just listed today for $524,900. We've listed it before, and also unit 6d that is similar, but not quite the same. This building has the exposed brick and timber look as do many others, but unlike some of the other spaces, this one is exquisite throughout. Along with the Grace Lofts and the Syndicate Condominiums, this unique space will be open on July 23rd from 1-3pm. Contact us today for a showing or any other real estate questions.